We are interested in three broad research areas: i) ecology of emerging diseases, ii) pathogen transmission biology, and iii) insect-microbe interactions. We currently use two research systems to address questions of interest, the xylem-limited leafhopper-transmitted bacterium Xylella fastidiosa, and the mealybug-borne grapevine leafroll virus complex. We have worked with other systems and are open to the possibility of exploring new emerging diseases. Below is a brief discussion of each of these areas of interest. We are interested in understanding the factors driving the emergence of new diseases by studying different aspects of pathogen and disease ecology. We take advantage of approaches used in molecular ecology and evolutionary biology by exploring the genetic structure of microbes to infer the history of epidemics and potential evolutionary trajectories of emerging pathogens. We are also interested in testing other hypotheses aimed at explaining what are the ecological factors driving emerging diseases. An essential component to any research on insect-borne diseases is a good understanding of how vectors acquire the pathogen from an infected host and later inoculate it into a susceptible one (i.e. transmission process). It is also important to identify what organism is the vector and the relationships between vector and pathogen taxa. We also study how biotic and abiotic factors affect pathogen transmission rates. A lot of research on this topic involves classical transmission experiments. Xylella fastidiosa cells colonizing the cuticle of an insect vector. Insect symbiosis is a thriving field of biological sciences. We use the leafhopper-borne plant pathogenic bacterium (Xylella fastidiosa) as a system. 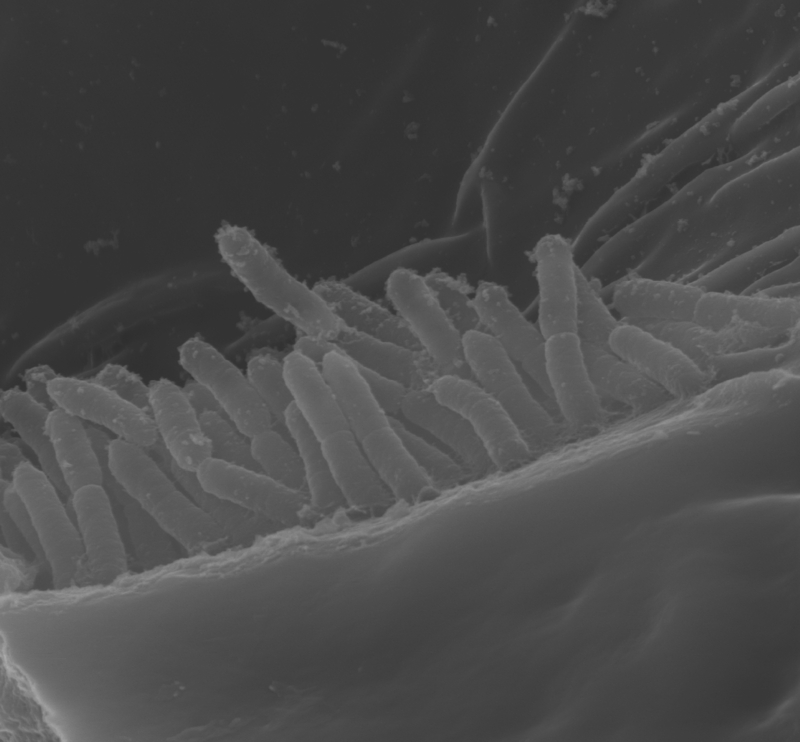 We are interested in how these bacteria attach to and colonize the cuticular lining of the foregut of leafhoppers. We are exploring new ideas aimed at blocking pathogen adhesion to vectors, which would disrupt the transmission process.